Tune in on Thanksgiving Day to watch Armenian entertainment and news live from Hollywood. This year’s “A Gift of Water, A Gift of Life” Telethon will be broadcasted on November 24th, 11am-11pm EST. Watch the live broadcast via satellite, cable and the internet. Help bring clean water to the 34,000 residents of Artsakh! The following was the Eduardo Eurnekian tribute video (09:22) presented during the AGBU’s 86th General Assembly gala on Friday, October 15 at the Four Seasons Hotel in Buenos Aires, Argentina. In addition to many of Eurnekian’s many professional accomplishments, the video outlines the great philanthropic and business ventures the Argentinean-Armenian businessman has established in Armenia. 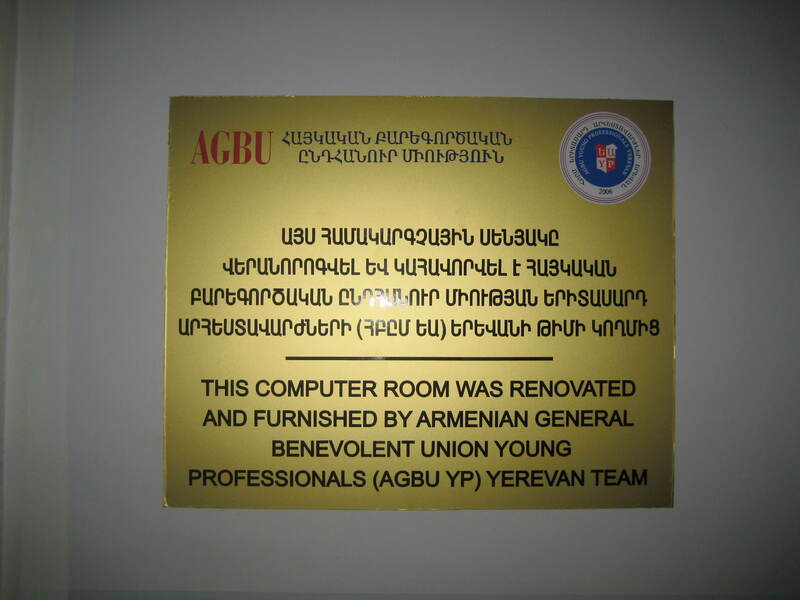 On April 18, the AGBU Young Professionals of Yerevan (YP Yerevan) donated computers, desks and other necessary equipment to renovate the computer room of the Nansen Orphanage in Gyumri, Armenia. Last November, YP Yerevan organized a trip to Armenia’s capital for 70 orphans from the Nansen Orphanage and, later in the month, the YP group hosted a fundraising event for the orphanage at the Yerevan Puppet Theater, which raised more than $4,000 USD. Established in 2000, the Nansen Orphanage of Gyumri was created to help parentless children who continued to feel the impacts of the 1988 Spitak. In 2002, the orphanage came under the administration of the Republic of Armenia’s Ministry of Social Welfare. Today, the Nansen Orphanage provides art, sports, dance, vocal and foreign language instruction to dozens of children. 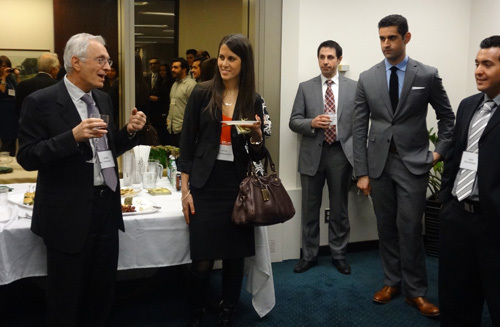 Last month, close to 400 young Armenian professional converged on the great city of Chicago for the biennial AGBU FOCUS celebration. 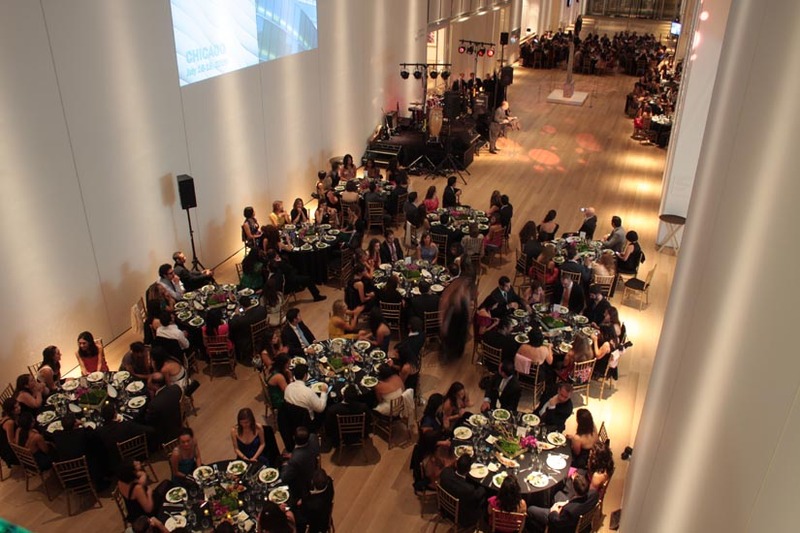 Congratulations to everyone who was involved with this amazing weekend that welcomed Armenians from 16 countries (Argentina, Armenia, Canada, France, Israel, Italy, Lebanon, Mexico, Russia, Spain, Switzerland, Syria, the United Arab Emirates, the United Kingdom, Uruguay, & over 20 American states)!